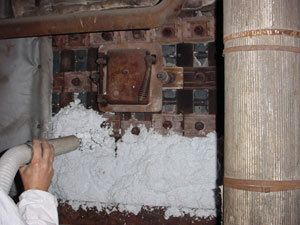 Mineral fiber boards and blankets have been the traditional solution for insulation repairs in the power industry. However, newer refractory and insulating technologies have produced a number of innovations, including a gunnable foam/fiber refractory insulation that significantly speeds up the repair of industrial linings, reduces downtime, and cuts down on overall costs. 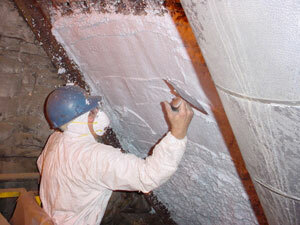 Traditional insulating techniques generally involve the cutting and fitting of boards and blankets often requiring five or more installers. This new gunning technology requires only a three-person installation crew, and an equipment cost of $35,000. The manufacturer has negotiated a worldwide license for this technology for the refractory market, and licenses and trains the installers to install this material. The new foam/fiber system was recently used by the refractors division of Atlantic Contracting &quot; Specialties, Westwood, Mass., and applied to the exterior of a power boiler at Trigen-Boston Energy Corporation, Boston. The product is a refractory ceramic fiber (RCF) combined with an inorganic binder (colloidal silica) and an organic foaming agent in the field. Trigen-Boston provides steam service to about 235 customers in downtown Boston through 22 miles of underground distribution piping. The steam is used for heating, process use and approximately 42,000 tons of cooling. The thermal energy is supplied to the system from two facilities with total steam generating capacity of 1.6 million pounds per hour. The boilers are fueled by natural gas, No. 6 fuel oil and No. 2 fuel oil. An installation crew applied a 3 to 4 inch foam/fiber refractory insulation system over the exterior of a power boiler with an operating temperature of 1,800 degrees Fahrenheit (F). The boiler was an old 1930s design constructed of cast iron Bailey Blocks. The Bailey Blocks served to secure the steam tubes in place, but were a constant source of heat loss. Also, the design of the boiler lent itself to air leaks and subsequent burner control/boiler pressure problems. The installation process combined the bulk fiber material with the binders in a patented mixing mechanism creating a homogeneous foam/fiber mixture. Installation machinery propelled the mixture through a feed hose and nozzle, and the material was then gunned onto the target surface. Because of the irregular geometry of the unit, no anchors were used. 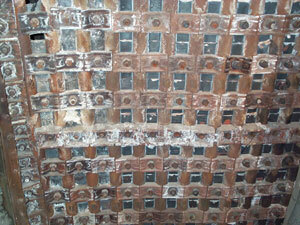 The foam/fiber refractory insulation system flowed easily to fill the cavities. 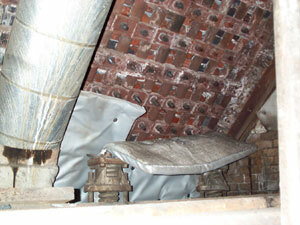 In addition, the insulation system was gunned directly onto the boiler tubes and Bailey Blocks. After the installation was completed, a low density foam/fiber mixture was applied and the exposed surface was troweled smooth. Corrugated aluminum jacketing was then placed over the exterior of the foam/fiber refractory insulation system. Once the product sees temperature, it fully dries and corrosion is typically not an issue. According to Chuck Murphy, project manager for Trigen-Boston Energy, "The foam/fiber refractory insulation system allowed us to upgrade our boiler without a lengthy outage and significant loss of steam production. Because of the fast installation speed of this system, we are able to retrofit large sections of our boilers during scheduled outages." Murphy also said, "The monolithic nature of the insulation system greatly reduced air infiltration into the boiler. Because of the reduced air infiltration, the internal gunnite refractory of the boiler is in considerably better condition in the areas where the foam/fiber refractory insulation system was installed. The new system will be the key component in our upgrade initiative for all our boilers."